You may not want to think about what happens behind the scenes to bring water to your faucets and carry waste from your disposal, caring for your fixtures will help you do just that to avoid problems and costly repairs. 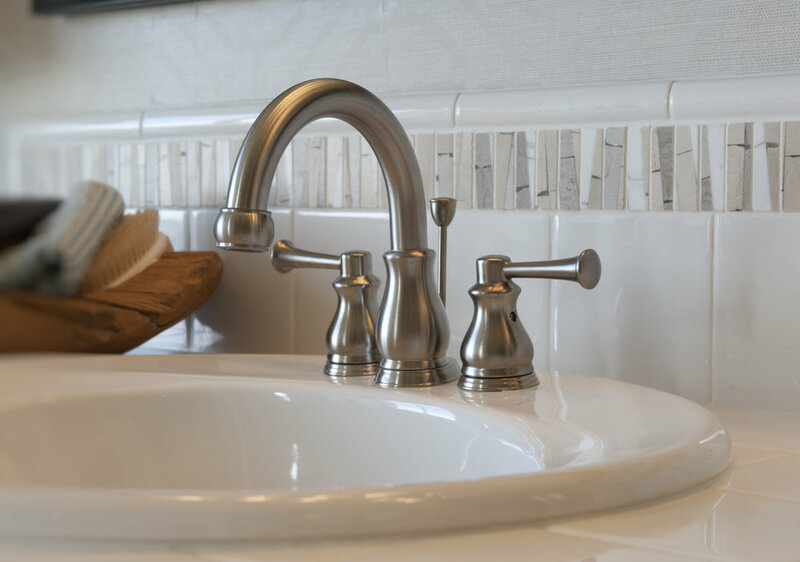 From stainless steel kitchen sinks to acrylic tubs, chrome faucets to toilets - here are our top tips and recommendations for taking care of the plumbing fixtures in your home. Avoid leaving items like produce or makeup, which may stain, on acrylic, porcelain and stainless steel surfaces for an extended period of time. Beware that everyday items - from knives in a kitchen sink to razors in the shower - may scratch the finish of plumbing fixtures; use and store these items with care. Additionally, heavy items that are dropped in sinks or tubs may dent or crack the surface. Several causes of stopped-up sewer lines and toilets are disposable diapers, sanitary products (including tampons), excessive amounts of toilet paper, Q-tips, dental floss and children's toys. Run plenty of cold water down the drain while operating a garbage disposal and for a minimum of 30 seconds after shutting off the disposal. Do not pour grease down the sink drain as grease may cool and solidify in the sewer line, causing a clog. A mild, well-diluted detergent and soft sponge should be used to clean your plumbing fixtures, including faucets, supply lines and handles on toilets, shower heads, sink and tub stops and levers. Dry with a soft cloth or towel to prevent water spots. Avoid using abrasive cleaners on acrylic bathtubs; a mild detergent will do the trick. Clean stainless steel sinks with soap and water to preserve their luster. Avoid abrasive cleaners as these products may damage the finish. Scrub with the pattern of the finish. Circular or opposing scrubbing will eventually mar the finish. We do not recommend drop-in toilet cleaners as they may cause rust stains and corrosive damage to the inside components of your toilet and subsequently cause the parts to deteriorate and not work properly. A rubber plunger should easily unclog a clogged toilet or trap. Avoid chemical drain cleaners as they bear potential for injury to you or the plumber who may ultimately have to fix the problem. Chemicals also destroy brass surfaces. If you use chemical agents, follow the manufacturer's directions carefully to avoid injury or damage to the fixtures. To clean a drain stopper found in bathroom sinks, loosen the nut under the sink at the back, pull out the rod attached to the plunger and lift the stopper out. Clean and return the mechanism to its original position by installing the black rubber seal first, followed by the white nylon gasket (tapered side facing out).